Garmin vivofit 3 and 2016 Garmin Model--Vivofit JR.(X-large).DO NOT fit for vivofit JR. regular size(up to 145mm). 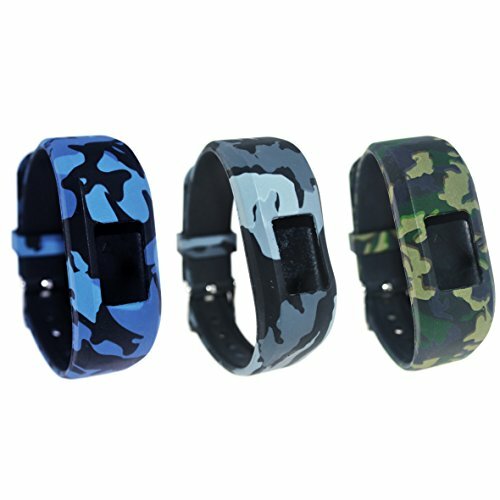 Garmin vivofit jr. and jr.2 replacement small bands are here: B07B3VZQS4 to solve the oversize wearing trouble for your kids. Rich in colors match,meet you and your family various needs. You will get the quantity of bands as the first image show.Only bands.NO TRACKER,!!! Here are few color aberrations between the products' images and the material objects,we apologize for it. Don't hesitate to contact TenCloud seller for any query,we will warmly reply to you in 24 hrs. If you have any questions about this product by TenCloud, contact us by completing and submitting the form below. If you are looking for a specif part number, please include it with your message.